According to the brand, the new Laughing Cow Tubs are specially blended with a soft texture for spreading or stirring. The Tubs are available in both Original and Light providing a light, nutritious option for a mid-afternoon snack or a cheesy addition to the dinner menu. 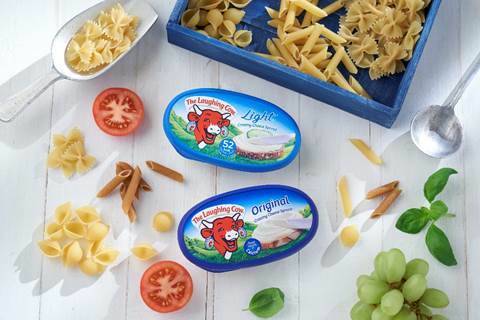 High in protein and a naturally good source of calcium, this latest line up from The Laughing Cow is set to become a frequent fridge fixture offering a delicious and convenient solution for dipping, spreading, cooking and snacking for all of the family, the brand says. Also suitable for vegetarians, the new The Laughing Cow Tubs (50 calories per 30g serving) are available at a RRP of £1.45 (150g), from Waitrose and Co-op stores nationwide.